odd is responsible for driving corporate, product, and go-to-market strategy and execution. Todd brings to the team over 20 years of cybersecurity industry experience with a unique blend of operational and Wall Street experience. 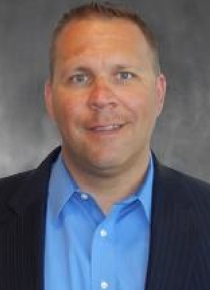 Previously, Todd was VP Corporate Development and Marketing for Hexis Cyber Solutions, Inc. Hexis was a provider of advanced security solutions that used real-time endpoint sensors, network detection, and threat analytics to provide organizations with intelligent and automated threat detection and response. Prior to Hexis, Todd was a Managing Director at Stifel, Nicolaus & Co., Inc. covering the software and Internet infrastructure sector. During his 17-year career as a Wall Street research analyst, Todd analyzed technology industry trends and provided fundamental, financial, and valuation research on over 60 publicly-traded companies across leading edge technology areas including cybersecurity, data centers/hosting, health IT, network & systems management, and technology platform providers like Red Hat and VMware. Throughout his career, Todd won multiple Financial Times/StarMine awards for earnings accuracy and stock picking and was also ranked third for stock picking in Internet and Computer Services by The Wall Street Journal in 2009. Todd has a B.A. in Economics with certificates in Finance and Management Science from the University of Maryland, Baltimore County, and a MBA from the University of Maryland, College Park. He is also a Certified Financial Analyst.